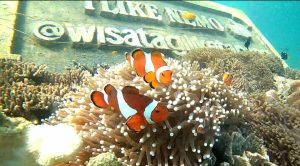 Mt Bromo Snorkeling Tour Package 2 Days 1 Night.This is our latest package choice. Other package like mount bromo tour package, mount bromo ijen tour package and mount bromo milky way tour. The blend of these conflicting attractions between the beautiful natural beauty of the mountains on the mountain bromo with the beauty of the underwater tour on the island of gili ketapang probolinggo.Sand in the mountains with sand on the beach gili ketapang give a fun impression is also interesting. The beauty of the sunrise at mt bromo is no doubt, many foreign and local tourists visit there. Be the first to enjoy this package, a blend of mountains and the sea. Mount Bromo Snorkeling Tour Package 2 Days 1 Night. Inside this little island there is a charm that makes us chuckle amazed because of it. There is religious tourism and also nature tourism which of course is still awake its authenticity. This is because the existence of the island is separated away from the traffic routes of Java island. Can you imagine to get to this place just needed a boat, and that too not all the island island have it, only the rich people who have a boat. In the western part of the island it has sand beaches and is commonly used for docks as a link between the island and Tanjung Tembaga harbor in Probolinggo city. While in the eastern part we will find the beach with a stretch of coral reefs. For complete information about our latest package, you can contact us. Bromo Snorkeling Tour Package 2 Days 1 Night. Diposkan dalam Mt Bromo Snorkeling Tour Package 2 Days 1 Night. dan dilabeli mt bromo package, mt bromo price, Mt Bromo Snorkeling Tour Package 2 Days 1 Night., mt bromo tour, Mt Bromo Tour Package. Markahi permalink.